Los angeles : Insane records are made all around the world but only some enter the list of Guinness World Records list. There have been also certain records associated with the Basketball game, but the new one will take you to new heights (literally). Trio Brett Stanford, Derek Herron and Scott Gaunson have performed the impossible. 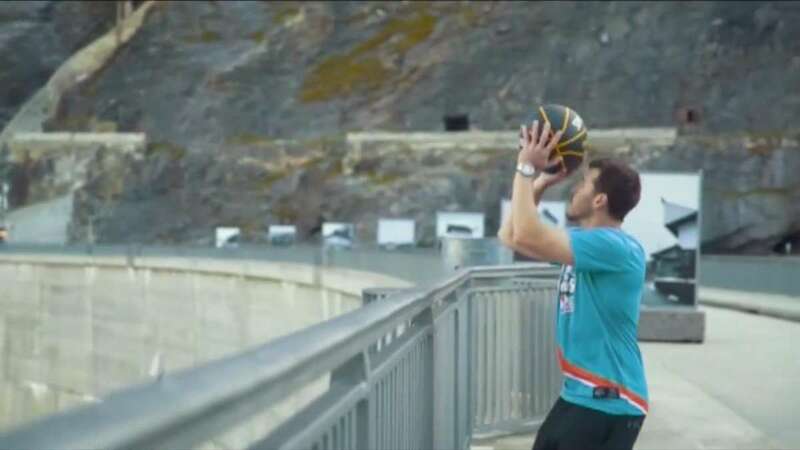 Recently they trekked all the way to the top of the Mauvoisin Dam in Switzerland and created the record for the highest basketball shot ever made. They perched atop of the dam, and then Herron squared up his shoulders and launched a shot towards a basket located 593.7 feet below. It took him 3 attempts to hit the net finally. Incredible, the shot was! This world record making shot from hundreds of feet up is nothing if not unique and you will be surprised to know that this was their attempt after they previously held the record for the longest Basketball shot in history back in 2011 when the record stood at 219 feet. However, their attempt went in vain when a sports entertainment group known as Dude Perfect managed to drain a shot from 533 feet and break their record. Well, that is a record isn’t it? Watch the video to witness the breathtaking shot.